Jason Mecier introduces himself as a celebrity portrait mosaic artist. His main focus is pop culture icons. He did not have any formal training but he was highly inspired by his grandmother who was an artist herself and taught him to use everything he could find around in order to create art. Mecier did not follow the traditional path of mosaic artists. He expresses himself using items people throw in the trash! His celebrity portraits got such a worldwide recognition that famous people send him their own trash in order to make their portraits. In order to make the portrait, the artist looks up images he likes of the celebrity he chose to make a portrait of gets inspired accordingly. He picks the items he finds the most appropriate and proceeds accordingly. A piece usually takes 50 hours of work to do; some took a lot more! It all depends on the complexity of the project. 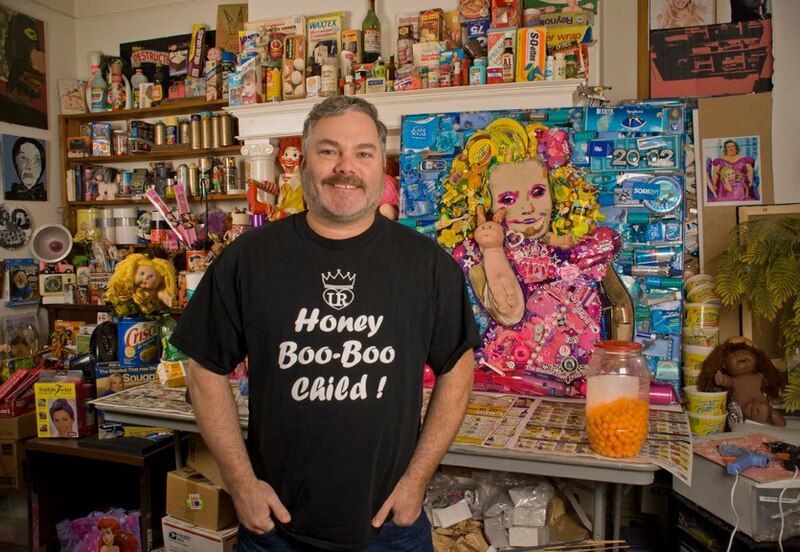 For more than 10 years, Jason Mecier has been collecting trash and arranging them according to color, shape and size. His most recent project was a portrait of Kevin Bacon made of…well, bacon!